Melika Script is an original free flowing script font family created and published by JROH Creative, an Aceh (Indonesia) based design collective dedicated to providing high quality digital media. 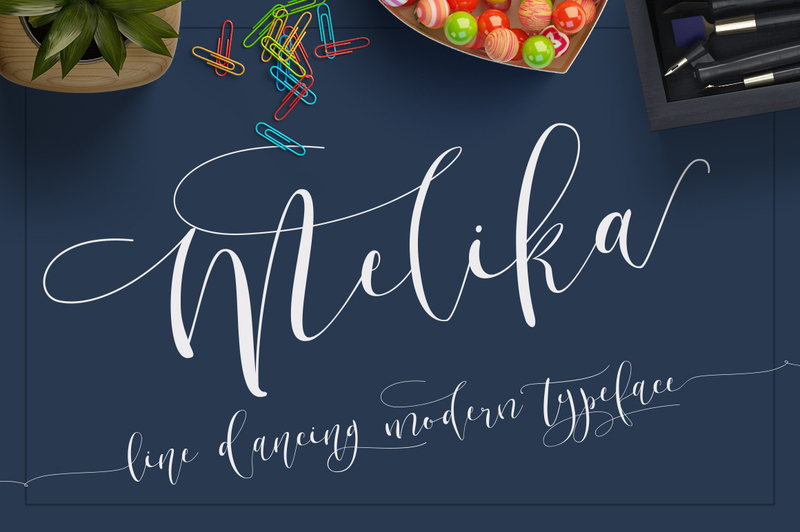 Coming with a set of over 350 glyphs and seven styles of long lines fonts, Melika Script gives you a dynamic, energetic and elegant feeling very suitable for weddings, invitations, greeting cards, quotes, posters, branding, cards etc. Melika Script is a dancer! A font description published on Monday, October 19th, 2015 in Fonts, JROH Creative by Andrei that has 8,251 views.